If I am not wrong, Smartphones have become a new body part of this generation. Nowadays, people spend too much of their time with their smartphones. Having almost all the features, smartphones have made an incredible position in one’s life. 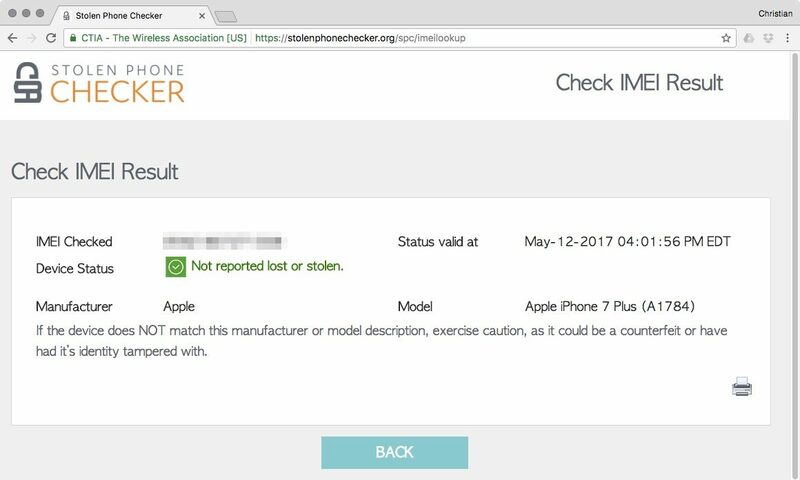 In addition to its security features, a US-based mobile industry trade group, CTIA has recently launched a tool called Stolen Phone Checker, an online tool which lets consumers, law enforcement and businesses check whether the device has been stolen or lost in the US. Stolen Phone Checker is powered by GSMA Device Check. According to the Daily Mail, the firm has shared an information on its website, “The service provides the wireless industry with the definitive, single source of real-time lost or stolen mobile device data. The service provides the wireless industry with the definitive, single source of real-time lost or stolen mobile device data. CTIA represents all the sectors of the wireless communications industry in the United States. The association also supports GrowingWireless.com, which educates parents about teaching their children to use wireless technologies responsibly, and AccessWireless.org, a resource for people with disabilities, seniors and their families regarding accessible wireless devices and services.